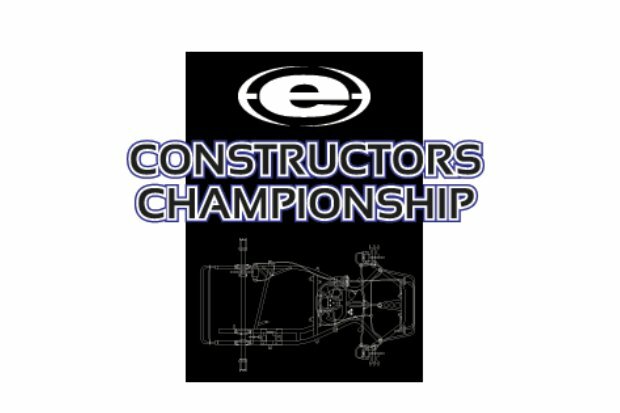 eKartingNews.com is happy to announce the events to be included as part of the 2013 EKN Constructors Championship program. The 2012 EKN CC standings came down to the wire with Tony Kart holding off a late charge from CRG to claim the title. Another 12-month battle will ensue this year, with large number of chassis brands all competing for the number one position and the EKN Constructors Championship. Into the eighth year, the EKN Constructors’ Championship began as a way to gauge the success of the many different chassis brands on the market for a given season. From 2007 through to 2010, the EKN CC standings focused solely on one national program. In 2011, the staff at eKartingNews expanded the program to include five organizations to incorporate the national level of competition across the 12-month span. The same goes for the upcoming season as a similar schedule of events and series are included in this year’s program, including Superkarts! USA, United States Rotax Max Challenge, World Karting Association, International Kart Federation, Florida Winter Tour, Challenge of the Americas, the Rock Island Grand Prix and the Streets of Lancaster Grand Prix. New for 2013 will be the inclusion of the United States Pro Kart Series program. The calculation process will remain similar to what was instituted in 2012. The basic format to count the top-five finishers in each class recognized will be awarded points with the stipulation that there is a minimum of 10 starting entries for the class points to be counted toward the season total in the EKN CC standings. Senior, Master and Junior categories from all events selected will be included to earn EKN Constructors’ Championship points. We ask that all racers and teams ensure their registration information is correct prior to every race to help the event/series produce the correct information for our calculation process. The point structure for 2012 will carry over as well for the 2013, to ensure a level playing field from coast-to-coast and organization-to-organization. The SKUSA Pro Tour – including the SKUSA SuperNationals – the US Rotax Grand Nationals, and Pan American Challenge will earn points with the following structure; 1st=20 points, 2nd=16 points, 3rd=12 points, 4th=8 points, 5th=4 points. The remaining events will continue to be awarded with the previous ranking system; with first place earning five (5) points down to fifth place earning one (1) point. “It’s an exciting time in karting and it’s great to have the 2013 season underway. We’d like to congratulate Tony Kart on their success in 2012 by earning the EKN Constructors’ Championship. Each year, we review the results of previous season to help ensure that there was no question about the fairness and equality of our point system, much like our Driver Rankings. Looking at the possible points available for 2013, just over 35% are available on the West Coast and, on the East Coast. The SKUSA SuperNationals, Rotax Grand Nationals and Pan American Challenge events count for roughly 17% of the total points possible. Breaking down the different series and geographical location, we continue to evolve the EKN Constructors Championship point system to only make it better,” commented EKN News Desk Manager David Cole.